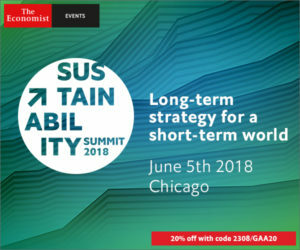 The Global Aquaculture Alliance is teaming up with The Economist for its Sustainability Summit as a supporting association. GAA members are encouraged to use the discount code “2308/GAA20” when registering to get 20 percent off the registration fee. GAA also partnered with The Economist for its World Ocean Summit, held in Cancún-Playa del Carmen, Mexico, in early March.